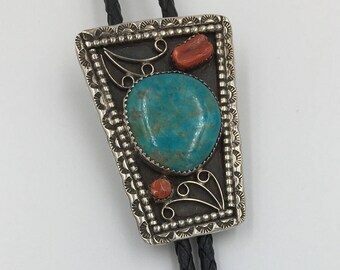 Handmade, Double-Sided, Amazonite, Sterling Silver Pendant on Sterling, amazonite and Leather. Secret Mantra Inscribed under the Stone! 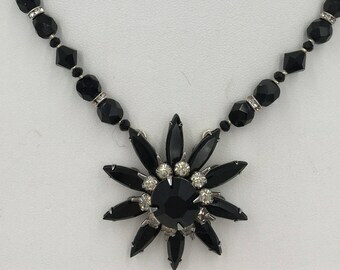 Upcycled, Vintage, one-of-a-kind, Black, Rhinestone Necklace. 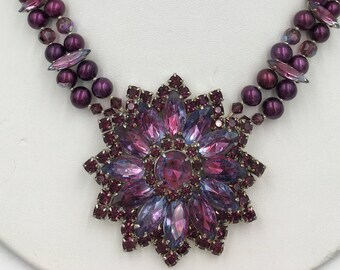 This item was absolutely gorgeous. High quality! The absolute perfect gift for my mom this Christmas. The bracelet arrived immediately after I ordered it. It is beautiful, unique and of the highest quality crafts"woman"ship. 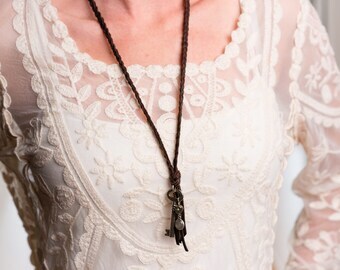 I have other pieces from Paige Peake Wright and they are all gorgeous and elicit "I love that necklace. Where did you get?" responses wherever I go. I'm very happy with my experience! 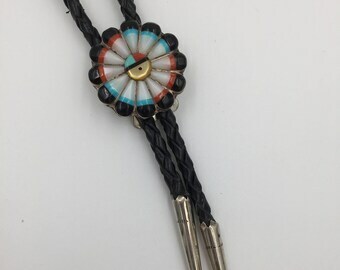 The bracelet is high quality and shipped very quickly. Thank you! Queen's Crown Rings - Personal mantra is inscribed under each stone. 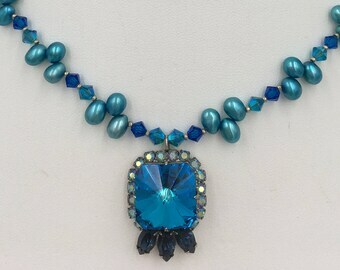 Jewelry artisan creates gifts as meaningful as they are beautiful! Paige has been making jewelry since the age of 12. 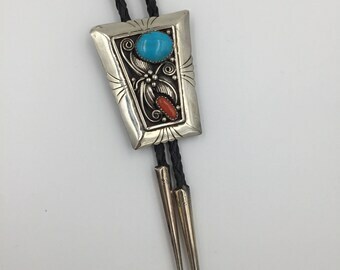 Her father taught her traditional Hopi Indian silversmithing skills. Paige later studied wax casting in Manhattan. 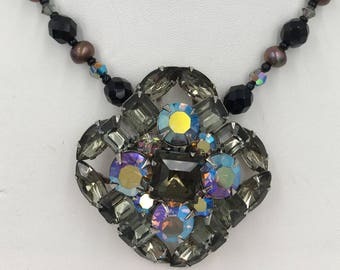 She started incorporating vintage rhinestone jewelry into her work when her mother was diagnosed with cancer in 1997. The idea was to make her mother’s necklace so breathtaking, no one would notice she was wearing a wig. Her mother still lives by her motto “Life is too short not to be sparkly everyday”. Over the years, Paige has won several awards including the Linz Award. Paige lives in California with her husband and three boys. 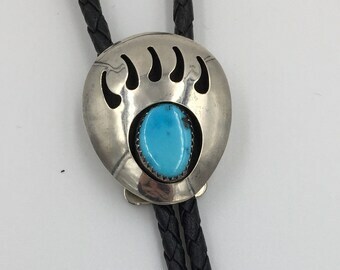 Silversmithing is Paige’s original craft and specialty. She begins with sheets of silver and carefully handcrafts them into unique, one-of-a-kind designs. Her Queen's Crown Rings are filled with love and inspiration as each ring has her client's personal mantra hand-inscribed under the stone. 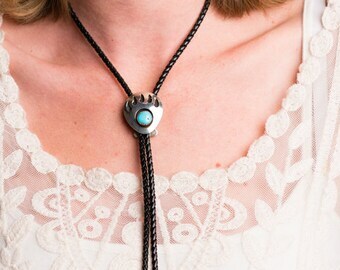 Her shadowbox belt buckles often include semi-precious stones and vintage buttons. Custom design requests are always welcome. 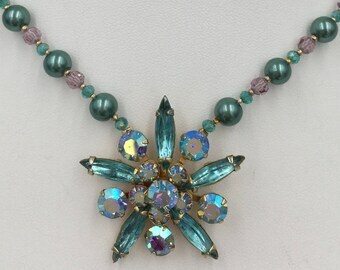 Paige can restyle your grandmother’s box of rhinestone jewelry and vintage beads. 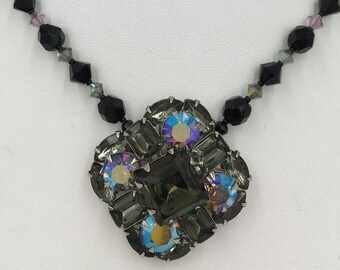 Re-invent what you think is “junk” into beautiful, wearable treasures. 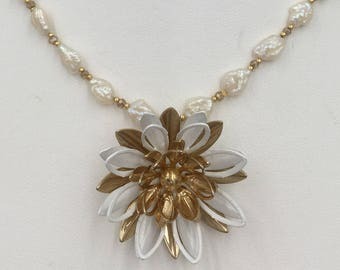 Family jewelry reconstructions make meaningful gifts for any occasion. 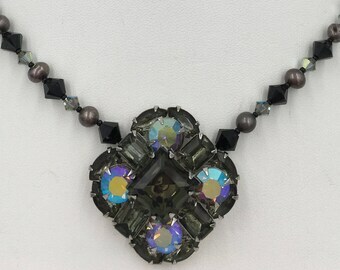 Paige begins with vintage brooches, earrings, dress clips, and other unusual items, and incorporates the pieces into necklaces with freshwater pearls, semi-precious stones and Swarovski crystals. 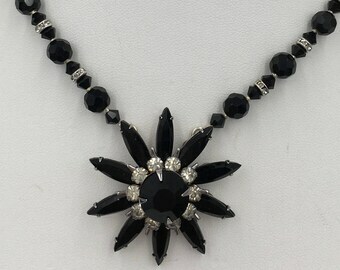 Additionally, all pieces have extender chains on the clasps which allow for varying lengths. Each piece is designed to look great with not only a white shirt and jeans, but also with more formal attire. 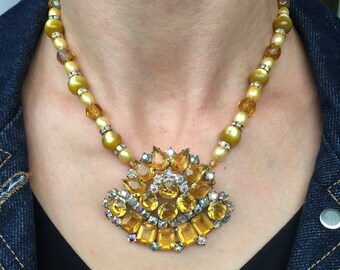 Each piece is one-of-a-kind and guaranteed to bring you compliments.